The champagne-like bubbles, distinctive hop bouquet, and balanced character of Liberty Ale® revives centuries-old ale brewing traditions that are now more relevant than ever. 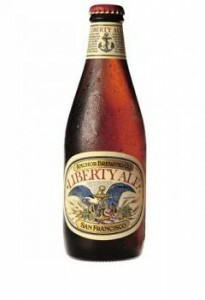 First introduced in 1975, Liberty Ale® is brewed strictly according to traditional brewing methods, and uses only natural ingredients — pale malted barley, fresh whole-cone Cascade hops and a special top-fermenting yeast, and water. When poured, the beer has a lazy, light copper color. Its aroma has a fruity and floral scent with noticeable pine. It is smooth and light bodied. The finish is dry but is clean and pleasant.